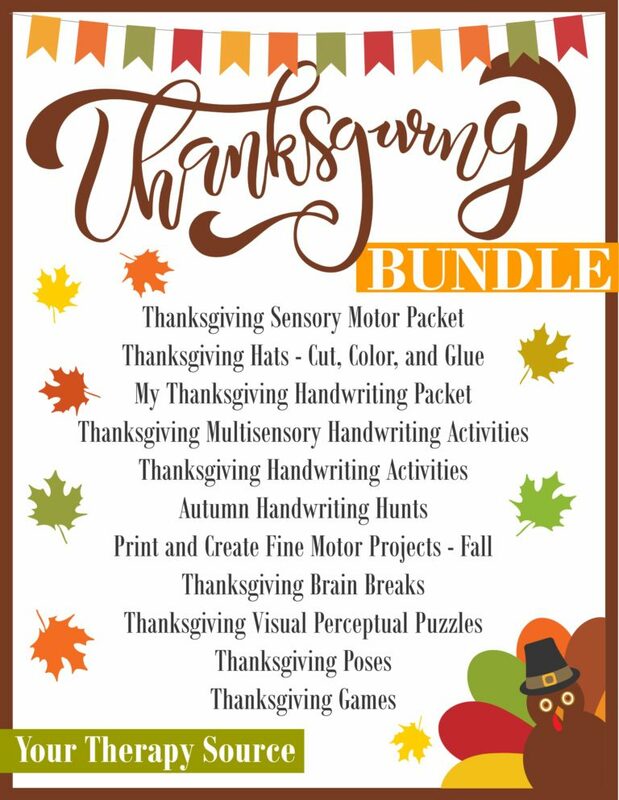 Are you looking for some FREE Thanksgiving fine motor fun? 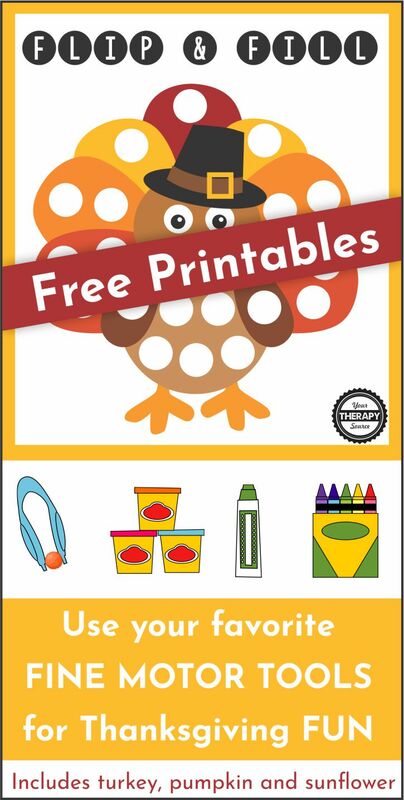 This free printable mini pack includes 2 different Flip and Fill fine motor games with a Thanksgiving theme. You can download it at the bottom of the post for FREE! Print each player a turkey, pumpkin or sunflower board. 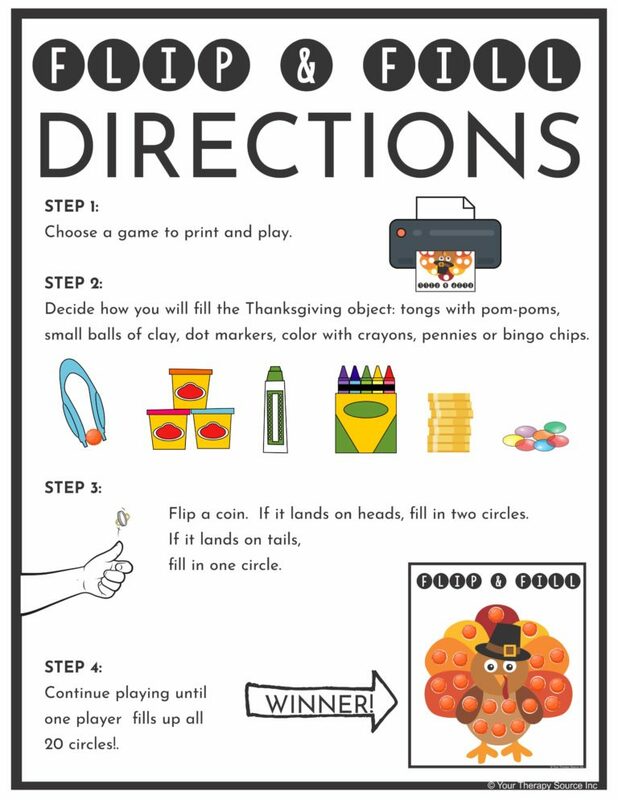 Decide how you will fill the 20 circles on the Thanksgiving object: small balls of clay, tongs with pom-poms, dot markers, color with crayons, pennies or bingo chips. The first player to fill in all 20 circles is the winner. Want to finish in a hurry? Use a die instead of flipping a coin. On each turn you will fill in 1-6 circles speeding up the game considerably. Want to add in letter matching? Write some letters in the circle. The child can match letter beads and place them in the circles. Want to make it easier? Use larger manipulatives like colored plastic teddy bears or unifix cubes. Want to make this activity even MORE AMAZING? Use pumpkin seeds on the pumpkin, sunflower seeds on the sunflower, and cranberries on the turkey to make it even more festive! 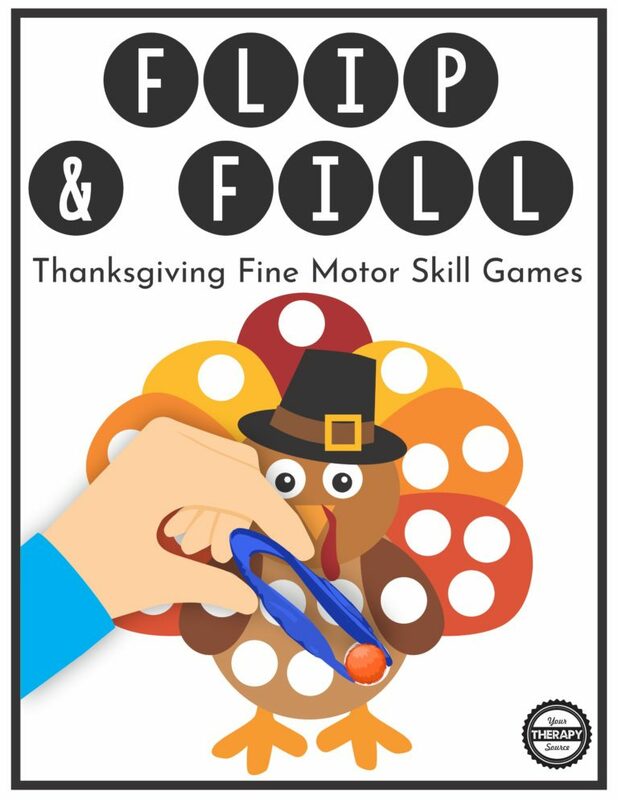 What skills will children practice when playing the Thanksgiving Fine Motor FUN Game?